As with every single aspect of health and fitness, there are absolutely no secrets. All you need to do is think about it for a second. If there was an easy way to lose weight and burn fat, you and all your friends and family would know it, and everybody you knew would be lean and in shape. This truth may be startling to some, common knowledge to others, and hard to believe for the MTV generation. It is no secret and has been known for hundreds of years of what goes into a successful fat loss diet. 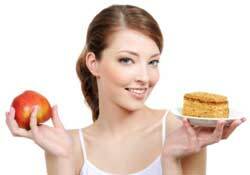 If you don’t know right away, here are some of the different beliefs about weight loss diets. Low carbohydrate diets are best for fat loss. Low fat diets are the best for fat loss. Diets with no sugar the best for fat loss. The Adkins diet is best for fat loss. Diets with no food after 6pm are best for fat loss. Diets high in fruits and vegetables are best for fat loss. Diets eating spicy foods are the best for fat loss. Very high protein diets are the best fat loss diets. Diets rich in dairy products are the best for fat loss. While any of the above strategies may work for some people, and may have a place in a fat loss diet, they are not the scientifically proved criterion for a successful fat loss diet. The law of conservation of energy which is a basic scientific law first published by Galileo in 1638 states that energy cannot be created nor destroyed. This means if you burn more calories than you consume, you will lose weight, period. 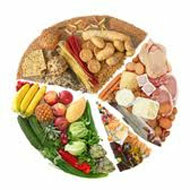 Whether the weight loss comes from muscle, fat, or carbohydrates stored in the body depends on a multitude of factors. 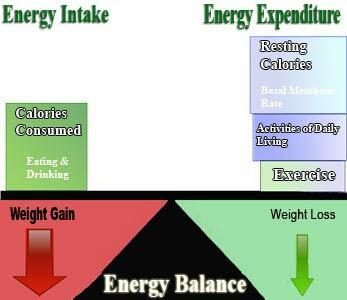 In order to determine if your diet helps you lose fat, first and foremost you must know and control your caloric intake. 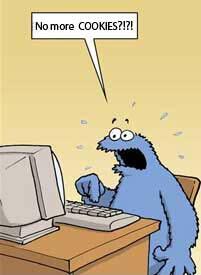 Everybody has a different way to control their caloric intake. The best foods to include in a diet depend totally on the individual. As an individual, your best option is to find your best diet for weight or fat loss by employing proven weight loss strategies rather than individual recommendations. What are the Best Strategies for Low Calorie Fat Loss Diets? The optimal low calorie diet for you is as individual as your personality, style, likes and dislikes. There is no one low calorie diet which works best for everyone. You cannot find the low calorie diet best for you in a book, on a website or by talking to your friends. The optimal fat loss diet for you may depend on numerous factors including your upbringing, lifestyle, job, genetics, overall health, weight, bad habits. Here are some fail proof ways to create fat loss diets which suit your individual needs. You may be shocked the first time you meet with a dietician or nutritionist. The first thing you will notice is the professional will not pull out some book or try to drop all their knowledge on you. They will ask you hundreds of questions about yourself. The questions will be part of a big questionnaire which will ask you questions about your lifestyle, eating and other habits. Then they will create a custom eating plan based on your questionnaire. It is then up to you to follow the program which you receive. You will meet with your dietician or nutritionist every once in a while to assess the program which the professional will tweak as needed. The obvious drawback to seeking professional help is the cost. Obtaining the services of a professional dietician or a nutritionist is not cheap, but it will most likely save you money in the long run. It is not rocket science sometimes when it comes to your body weight and your dietary choices. Most of the time when you make a poor diet choice you know, and hopefully regret it. If the average person would make 1/2 of the poor diet choices they did, it would significantly affect their body weight. Making a bad choice once in a while is not going to kill you. The thing that does kill you is when you let let yourself go completely and make a bunch of bad choices in a row. This is more serious than just making a bad choice. Bad habits can last a long time and if you get in the routine of making bad diet choices it is usual for the average person to continue to make bad choices for weeks, months and sometimes years. The moral of the story is, make it your priority to make the best choice more often than not. Sometimes it is very obvious, i.e. French fries vs. a salad with your sandwich at lunch. If you don’t know if a food is good for fat loss diets or not, researching it, could save you the trouble of going through multiple fat loss diets in the future. This is the very most important way to determine which fat loss diet will work for you. If you go to any personal trainer, dietician or nutritionist, a nutrition journal will be the first thing they will ask you to do, so why not start one right now? 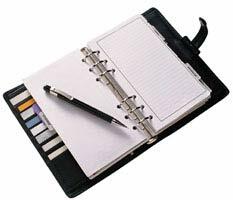 Writing things down in a journal may be boring, tedious, or just plain annoying but it will surely be beneficial to your nutrition program and could be the difference between success and failure. The only way to determine your optimal nutrition program or weight loss diet is to learn from your mistakes. Since we cannot remember everything we may not realize we are making a poor diet choice ever time. Just like in high school college, we all know the best way to remember things. Write down your food intake information including what you ate or drank, when you consumed it, how many calories were in it, and how it made you feel. As soon as you get used to writing things down in a nutrition journal it will become second nature and poor dietary choices will happen less often. You can use the trial and error to determine the best fat loss diet for you. To achieve a low calorie diet you must eat healthy nutrient dense, satiating foods which fill you up and give you the energy and nutrients needed for the intense exercise which will speed up your results. If you really want to lose weight, the only fat loss diets which work are the diets which you create for yourself or by a dietician based on yourself. Unless someone has lived with you for the majority of life, what are the odds that they know which diet is right for you? Very slim to none. Use your mind and a few helpful hints from a good information source and you can mold your fat loss diet into a successful nutrition program which you can use to stay lean, fit and in shape for the duration of you life.